The Bin Cleaning Company Ltd offers a surface cleaning service to both commercial and domestic customers and clients. The specialist jet washing equipment restores patios, driveways, paths and decking with fantastic results which will transform gardens and have exterior surfaces rejuvenated and looking as good as new. BCC Ltd uses a rotary washing head which has been specifically designed for outdoor hard surface cleaning. This system, unlike conventional pressure washers, is much kinder to the surface that is being cleaned and provides the highest level of results. BCC Ltd do not use any chemicals or detergents throughout the cleaning process making it safe for our clients and the environment. The rotary washing head uses a high density mist, which is contained under a hooded carriage, this uses far less water than a normal cleaning system and practically eliminates splashing of the surrounding area. Before commencing work a site visit will be arranged and carried out by one of our Senior Managers upon which a quotation will be supplied and a date for cleaning agreed. 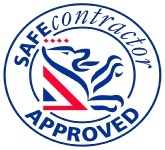 All of our staff are fully trained ensuring the highest quality of workmanship and customer service. BCC Ltd staff are also uniformed and fully insured.